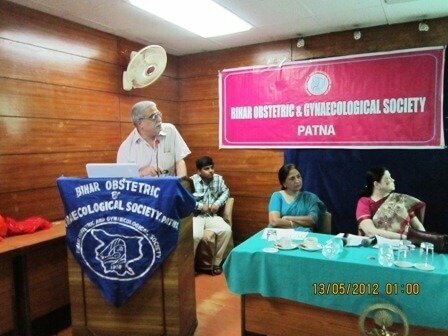 F.OG.S.I (Federation of Obstetric & Gynaecological Society Of India) organized a workshop on ‘Basic Infertility’ on the 13th May 2012 at Patna at the ‘Scada Business Centre’. Dr.K.D. Nayar was invited to deliver a talk on ‘Gonadotropins in I.U.I.’ The topic was very interesting & the meeting evoked a lot of positive interest. 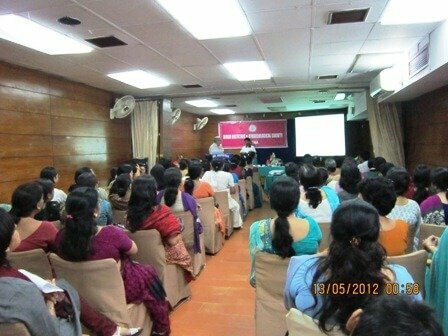 The workshop was attended by around 100 Gynaecologists & practising Infertility experts in & around Patna. The session was very interactive & followed by a lot of querries which were adressed to by Dr. K.D. Nayar to satisfaction. Below are 2 photographs of the session in active progress to a full capacity hall with Dr. K.D Nayar giving his presentation.